Co-authored with Tenywa Aloysius Malagala. How the poor provision of education for the Karamojong affects the community’s ability to advocate for their rights. 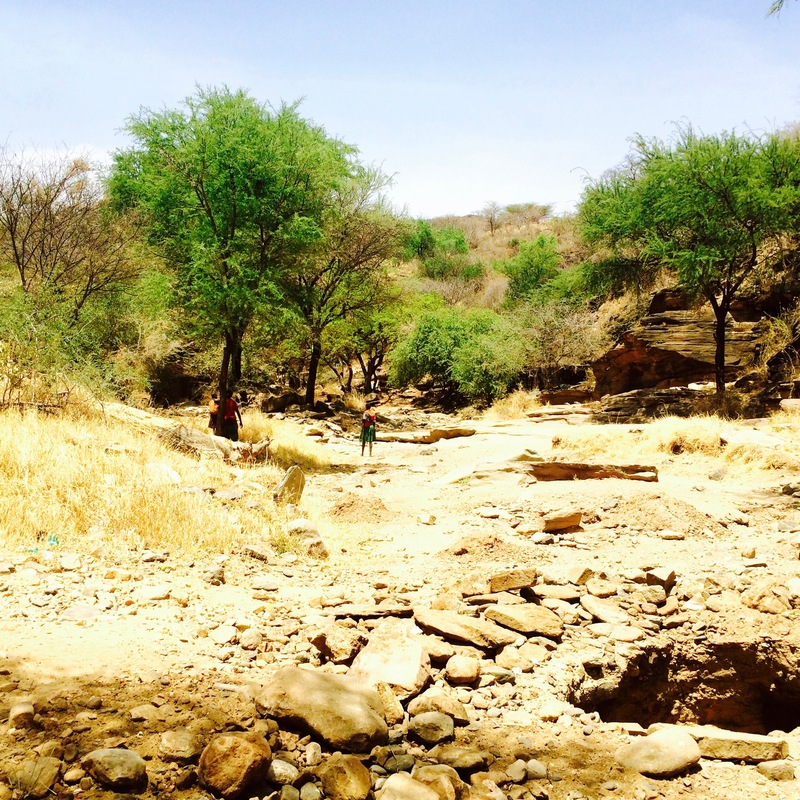 Nestled amid the hills of the northeastern Ugandan-Kenyan border, a small Karamojong community in Nakabaat struggles to come to terms with a conflict-ridden past and the consequences of mineral resource exploitation by national and international companies. Uganda’s history of state formation was followed by anti-pastoralist policies and decades of drought, land disputes, and land dispossession, leaving the community deprived of food, water, healthcare facilities, and access to education. Locals from areas like Nakabaat have experienced cross-border conflicts for many years. However, what threatens the fragile peace today is no longer warrior nomads or border disputes but Karamoja’s nascent mining industry. Although the area’s huge mineral deposits have the potential to revitalise the local economy, improve the living standards of a conflict-affected population, and foster processes of sustainable peace development, the region’s natural resources have fortified suffering, abject poverty, structural violence, and human rights abuses instead. Karamoja remains one of the most underdeveloped sub regions in Uganda, and it displays the highest multi-dimensional poverty index (MPI) in the country: 79.1 per cent live in severe poverty compared to the 38.2 per cent national average. As such, the region remains extremely vulnerable to internal and external shocks, ranging from security, political, environmental, and health-related threats. Yet, Karamoja is rich in two assets: mineral resources (including tin, gold, iron, nickel, copper, cobalt, marble, limestone, graphite, gypsum, wolfram, uranium, and lithium) and cultural diversity (consisting of tribes from Kenya, Uganda, and South Sudan). At first glance, the vast lands of Karamoja may appear vacant and unexploited. In reality, they are not—communities, not individuals, usually own the land. This clearly challenges any genuine attempts to identify rightful owners for consolation and compensation prior to engaging in mining activities. According to the latest report by Human Rights Watch (“How can we survive here?” 2014), there are currently three active mining companies in Karamoja engaged in different stages of the mining process. These include Jan Mangal Uganda Ltd (a Ugandan subsidiary of an Indian jewelry company), East African Mining Ltd (a Ugandan gold exploration company), and DAO Marble Ltd (a Kuwait-based group). What makes matters even worse is the government’s resistance to implementing communal or collective land ownership based on the Karamojong’s communal tradition. In a way, history repeats itself in Karamoja—only the exterior actors have changed. After colonial rule, the borders between Kenya and Sudan were redrawn, and the majority of the Karamojong’s grazing regions were left outside Uganda. The extent to which the long-term effects of externally imposed borders have caused civil unrest and conflict in the region remains a highly debated and often disputed point. In pre-colonial Karamoja, political power was exercised over people and not over land or territory. In other words, the nature of semi-nomadic societal life rendered the whole notion of individual land ownership almost irrelevant. Any territorial claims would have endangered the very basis of survival for most pastoral communities. Upon independence, forceful attempts by Ugandan governments to settle Karamojong pastoralists have resulted in decades of conflict and widespread poverty. Today, the Karamojong’s lack of legal proof and land ownership puts them in significant jeopardy of experiencing rights abuses as mining activities continue to increase. The small Karamojong community of Nakabaat serves as a prime example of how resource exploitation and land acquisition by mining companies increase structural violence and violate human rights. Disarmed by the Uganda People’s Defense Force, the community abandoned cattle herding (and raiding) to mine for small quantities of gold instead. Yet, between 2011 and 2014, their modest existence was severely disrupted when Jan Mangal Ltd entered their land. Initially, Jan Mangal Ltd promised to develop and compensate the community in exchange for their gold-mining activities, but the company did not live up to its promises. When the community raised concerns about issues of land ownership, Jan Mangal Ltd asserted that the land belonged to the government. Four years down the line, the company has depleted the mine of its gold and has left the impoverished community behind. Miles of black pipes used to pump water into the mining site still remain and serve as a reminder of their activities. In a group interview, the community of Nakabaat claimed that throughout the period of Jan Mangal’s presence they were refused access to water from the pipes. Notably, Karamoja is one of the regions in Uganda that is most affected by frequent water shortages and drought. These days, there are only traces of gold left at the site. Young Karamojong miners reveal that for one “point” (i.e. the size of a few sand corns) they earn 5.000 Uganda Shillings (UGX) or US$ 1.70, and one gram presently sells for UGX 50.000 or US$ 17. Ugandan businessmen from Kampala are their main clients. Sales figures are purely the result of chance, and there are periods when they sell no gold at all. A “point” of gold may easily take up to one day of mining and involve several members of the community. Fatalities occur frequently due to the poor set-up of the mining site. Any local attempts to formally complain and report Jan Mangal Ltd have so far failed. Even when the community sought legal assistance from the International Federation of Women Lawyers, Jan Mangal neither responded nor attended meetings about the case. Besides, communities such as Nakabaat simply lack educated individuals to advocate for their wants and needs, not to mention to engage in lucrative mining activities and businesses for themselves. When we asked community members how many of them attended school, only one young man raised his hand. Karamoja has the highest percentage of Uganda’s population with either no schooling or incomplete primary education (79.8 % being female and 64.8% being male). Numerous efforts by the government in collaboration with international donors, aid agencies and civil society organisations are currently underway to increase educational attainment among the local people. These positive developments notwithstanding, it may take a time span of two generations until remote communities are able to advocate for their rights and needs.